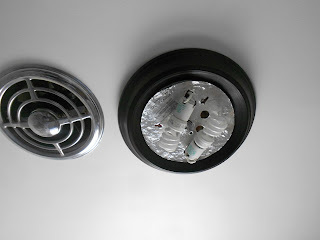 Sorry but you get another post on changing a light fixture. After we painted our bathroom, the glass on our old light broke… I was not very happy with myself but the light was not installed right anyways so the glass was just sitting there. It was good it did not fall on anyone. After the glass broke we decided to by a new light for the bathroom. 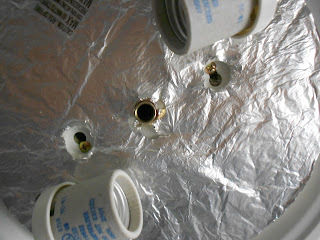 And I thought I would share how easy it is to replace a light fixture. VERY IMPORTANT turn the power off to the the light by turning off the breaker. 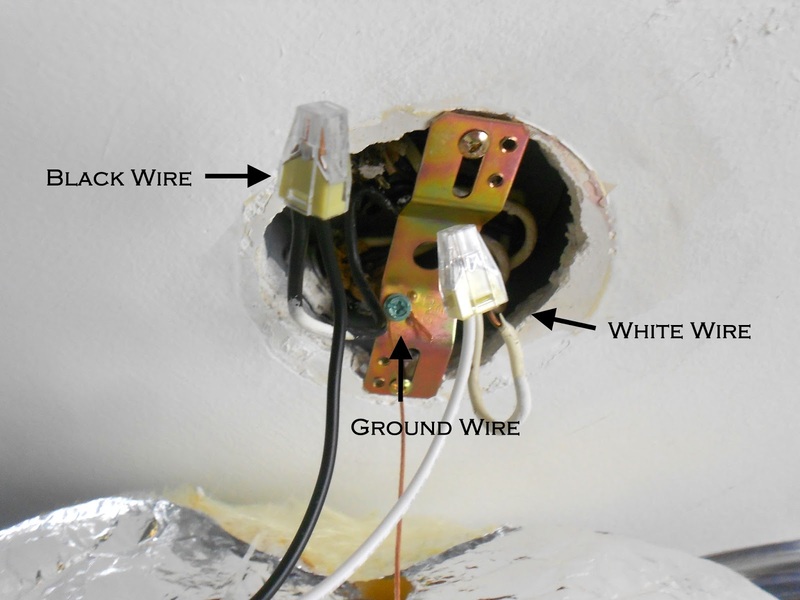 Then remove the light bulbs and remove old fixture disconnecting wires. 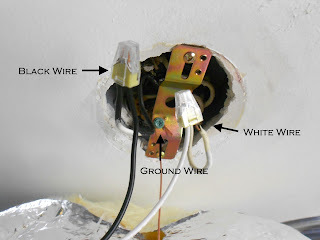 Remove old bracket, your instructions that come with the light will explain how to do all this too.. 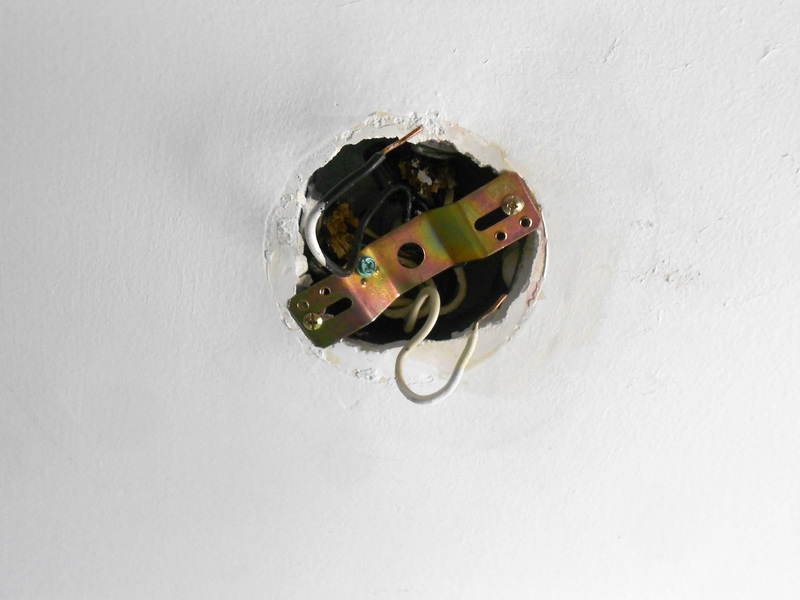 Install new bracket for the new light, make sure you are using the right screws, mine were the little ones not the longer ones. The new light had a cool new wiring system. All you do is push the wire on your ceiling through the hole, no more caps. Here are my wires attached to the new light. Then I attached the longer screws to the bracket. 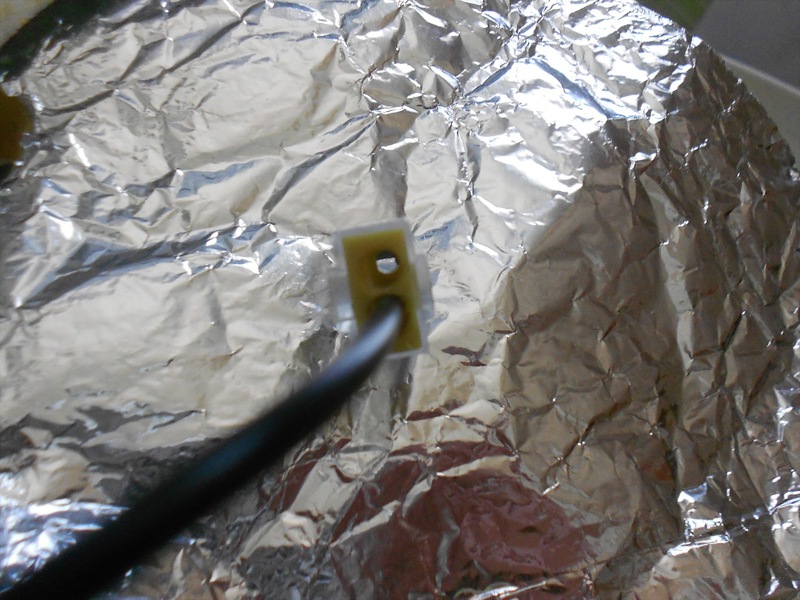 I then place the screws through the base and tightened. 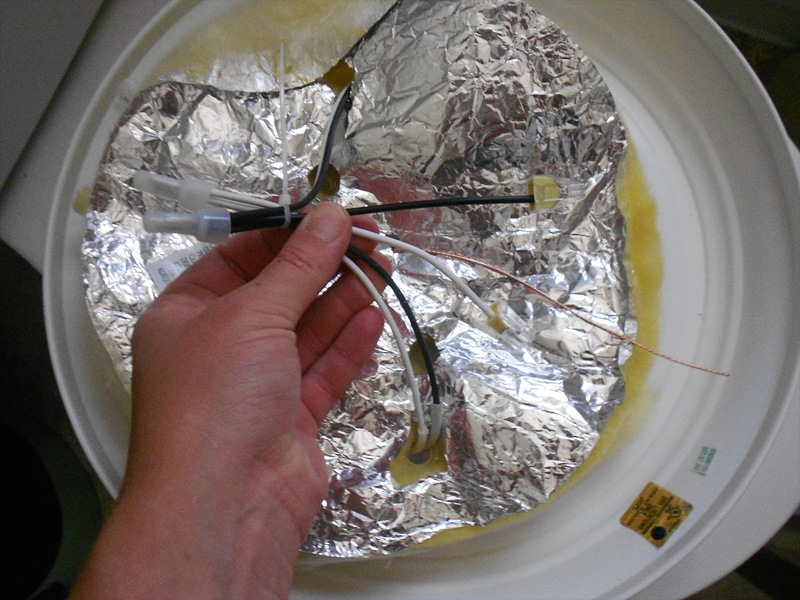 Light in place, attach the metal rod and add bulbs. 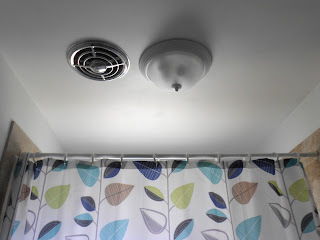 Changing light fixtures are not as hard as I thought, so don’t be afraid to change them.